Roll20 for iPad and Roll20 for Android are free-to-use mobile tablet applications focused on player-specific portions of Roll20. The simplest summary of what these applications are aimed to do would be "things you hold in your hand" at an in-person gaming table. That includes: digital dice, character sheets, handouts, and rules (compendium). To tie these features together, there is also access to Roll20's text chat features. Not included in the applications are tokens, maps, voice chat, video chat, and other tabletop functionality. Roll20 for iPad and Roll20 for Android are usable both at a physical table and with the Roll20 virtual tabletop. Roll20 for Android is compatible with Android tablets and phones with Version 4.4 or later. 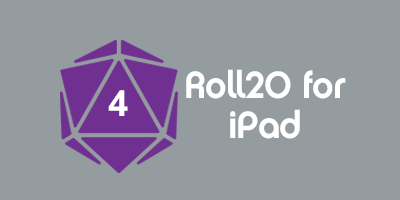 Roll20 for iPad is compatible with iOS 8.1 or later. 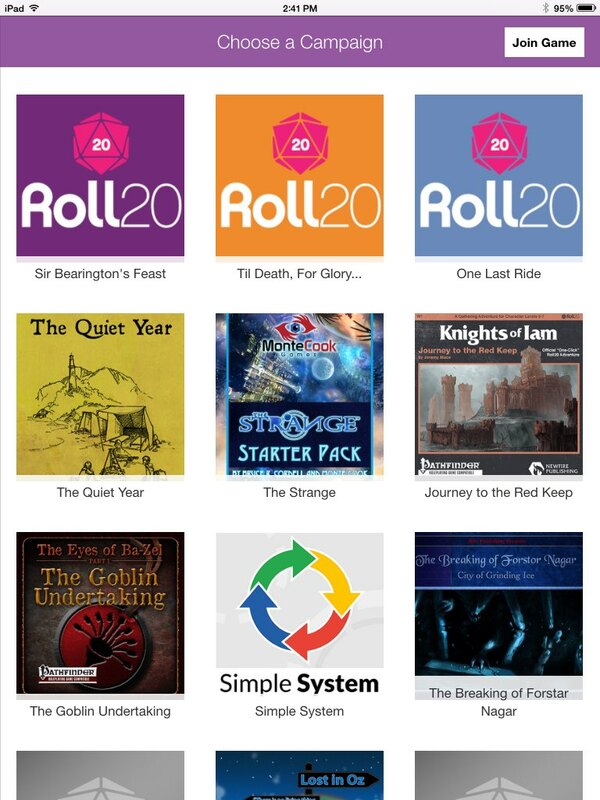 Roll20 for Android is available on the Google Play Store. 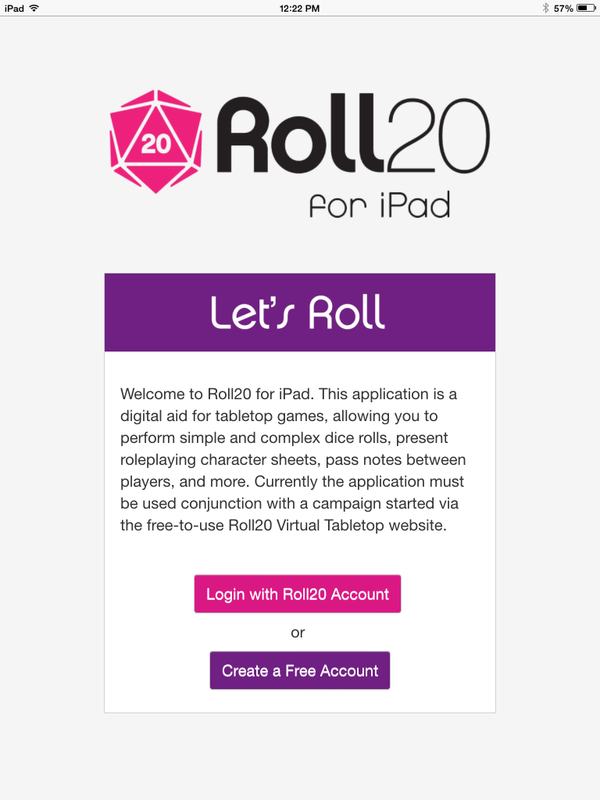 Roll20 for iPad is available on the Apple App Store. When starting in Roll20 for Android or Roll20 for iPad, you will be prompted to create a new account, or login to an existing one. Please note that currently you will need to use Roll20 Virtual Tabletop to start a game, add new characters, and other creation elements. After logging in, you will see the "Choose Games" screen which shows games you are already a part of that you are able to join. If you are playing in-person, you may want to join a game that you haven't previously been a part of, which can most easily be done via QR code. The Game Master of the session will need to go to the My_Settings tab of the web version of a Roll20 game-- there they can click a button to launch a pop-up window with a unique QR code. Players of the game can then click "Join Game" from the game screen, and select to scan for such a code. "My Settings" tab of the web application, where you can launch a QR code for Roll20 tablet applications to utilize. Additionally this "Choose Game" screen allows you to logout of your Roll20 account. This page was last modified on 27 November 2018, at 23:14. This page has been accessed 224,542 times.